Lean project management is known as a more comprehensive adoption of some of the most popular lean concepts at present including lean manufacturing, lean thinking and lean construction into the context of project management. This process has several ideas that work in common with other concepts related to lean. The only difference is that the lean project management works based on its main principle which states that one needs to deliver more value and reduce waste when doing projects. The process also uses a variety of effective techniques to ensure that projects are successfully undertaken and these techniques include standardization, pipelining, taking advantage of a stronger facilitator and blame-free employee involvement. Considering the usefulness of lean project management when trying to achieve success when undertaking projects, it is just right for you to get your lean project management certification. Deciding to take up a lean project management course requires you to improve your skills in effectively handling your tasks in this field. You should know that lean project management requires you to improve your skills in effectively breaking down the structure of work in a project. An effective and stronger work breakdown structure is that which is capable of identifying the specific team members who are responsible for different milestones and deliverables. The process will also transform you into an expert in examining the connections between team members and how these affect the performance and quality of a project. Lean project management also works using the trust and respect culture. This process works more effectively if all the members of your team understand that the newer forms of measurement are more focused on producing better results rather than blaming others for project issues and complications. 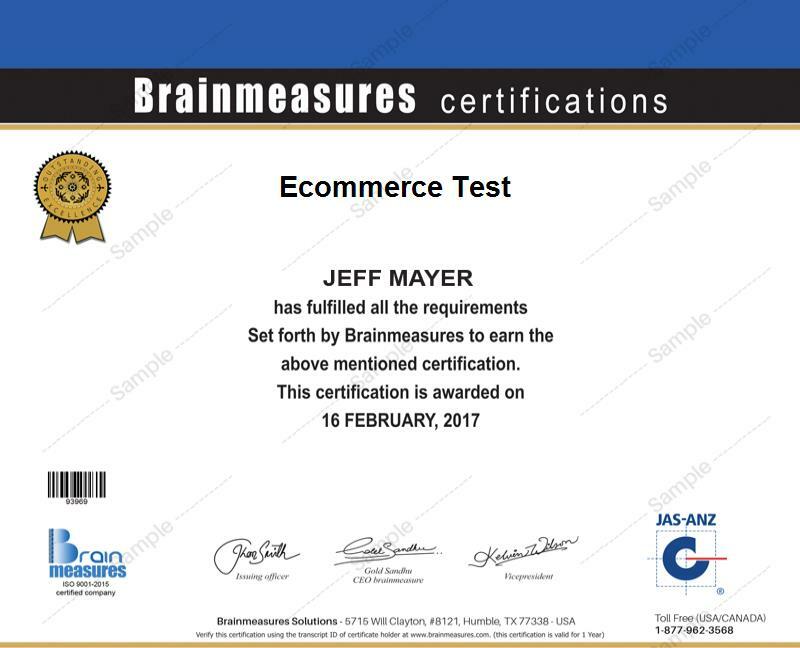 Brainmeasures, a leading online certification and testing company, offers a lean project management certification program to anyone who is interested in understanding how the entire process works. This program is developed by experts while also considering strict ISO standards and this assures you that you will be getting the most accurate information. The experts also develop the program in a way that helps practitioners to fully understand the whole lean project management concept including its principles. You can get your certificate which shows proof about your expertise in the field after you get a passing percentage on the lean project management exam included in the program. Anyone can be admitted to the lean project management certification program offered by Brainmeasures provided they are interested in the certification course since the company does not set any qualifications or requirements. But you should keep in mind that this certification course can work even better for you if you are a frontline project manager, functional manager, team leader or just a professional who wishes to become more time-efficient and learn the basics of successfully carrying out a project with the least amount of waste. Practicing your career as a lean project management certification holder is a major help if you are planning to start earning in a more stable manner. It is because certified lean project management experts can expect to earn big. Your annual income would be around $80,000 to $140,000.